In 1739 Johann Joachim Kaendler created the extravagant “Snowball Blossoms” at the behest of King Augustus III as a gift to his wife. A symbol of love rendered in the finest of porcelain, the hand-formed blossoms – set petal to petal on countless porcelain object – required all the skills of Meissen’s artisans at the time. As part of the “Royal Blossom” collection, those revered blossoms bloom once more, reinterpreted in relief on the contemporary “N°41” table service. 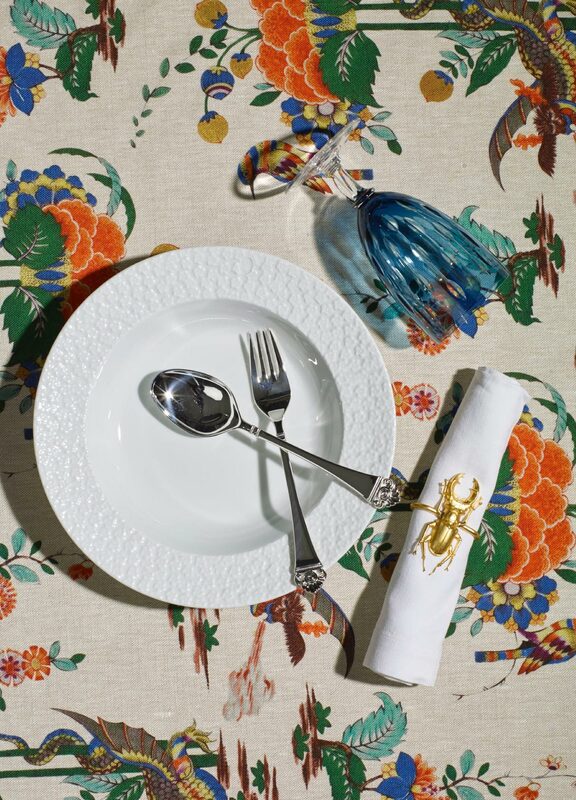 “Noble Blue” revisits one of Meissen’s most famous decorative motifs: the iconic “Onion Patter” from 1731. Inspired by the Eastern Asian porcelains of its time, the “onions” in the pattern are not in fact onions, but rather exotic fruits and blossoms, each with their own assigned placement within the decor. 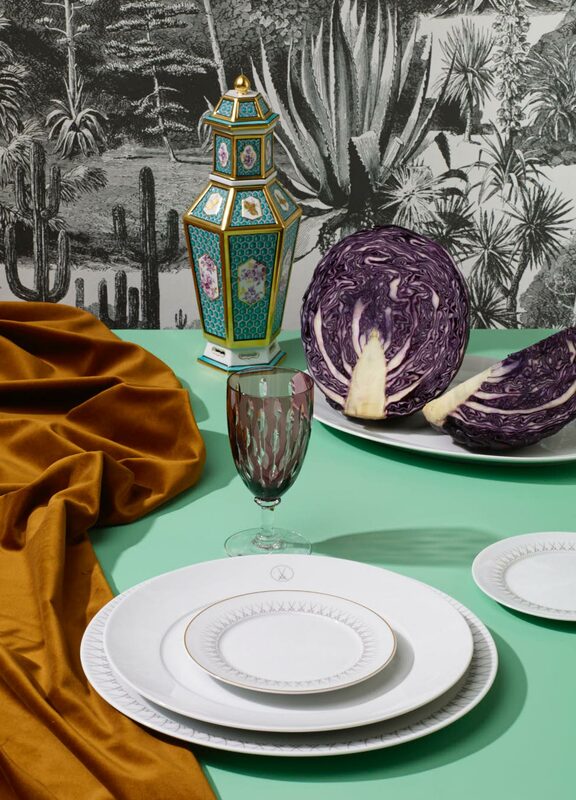 In “Noble Blue” these opulent compositions are pruned and rearranged in a light-hearted, contemporary design, giving the sleek “N°41” tableware series a decorative nod from the past. 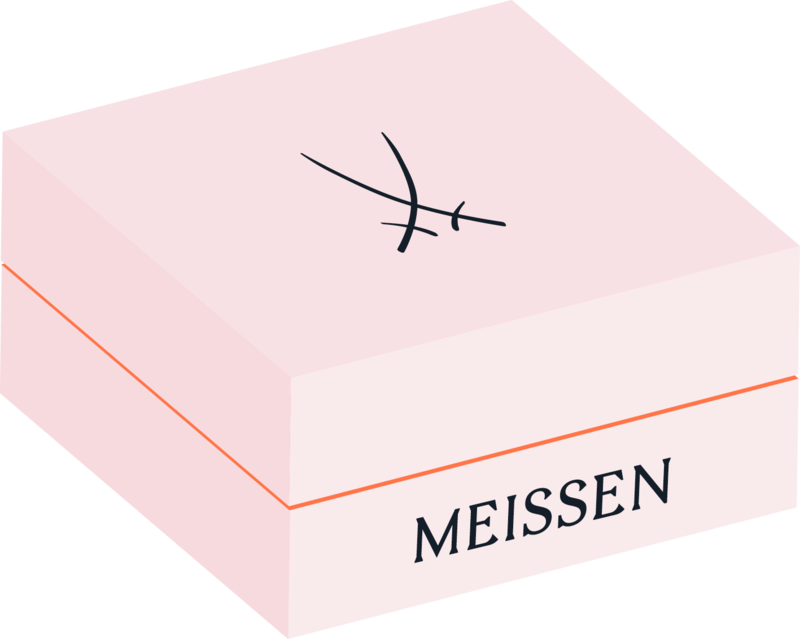 As the oldest trademark in Europe, the Crossed Swords from the coat of arms of the Electorate of Saxony have represented the exceptional quality of Meissen porcelain and the ultimate in craftsmanship since 1722. To this day, the swords are painted onto every piece of Meissen porcelain by hand using the manufactory’s own specially developed cobalt blue. The “Swords” collection is a creative homage to the manufactory’s historic signet, boldly applied to the new “N°41” design series. 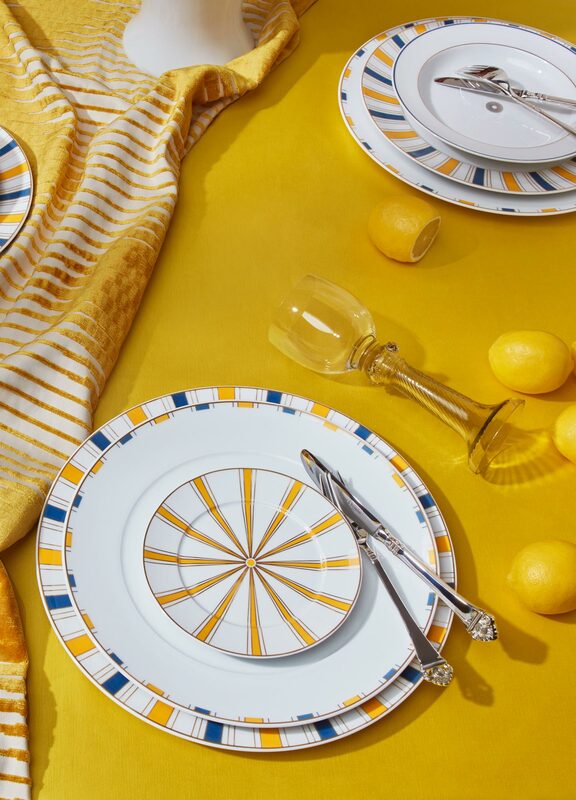 Drawing on Meissen’s manufactory archive and historic patterns from 1820, “Stripes” let’s an illustrious, bygone era shine once more. 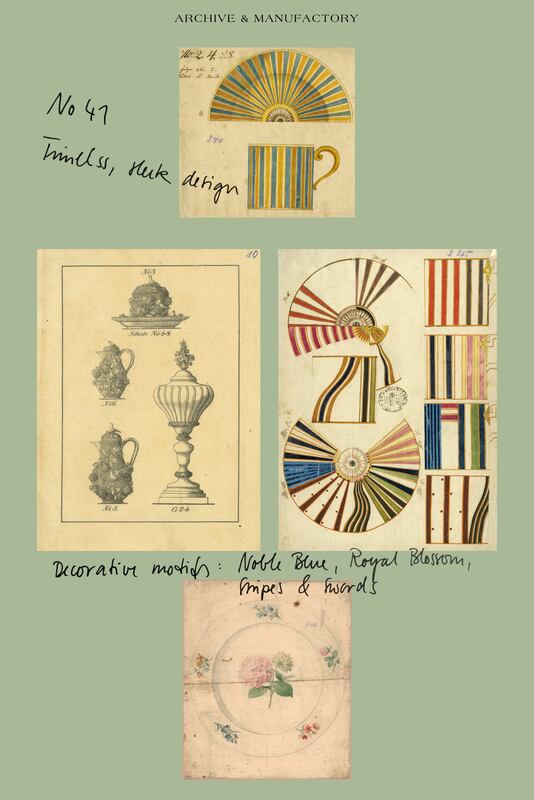 To highlight the decoration’s beaming, historically symbolic character, a signature palette of vibrant colours was commissioned from Meissen’s paint laboratory especially for “Stripes”. 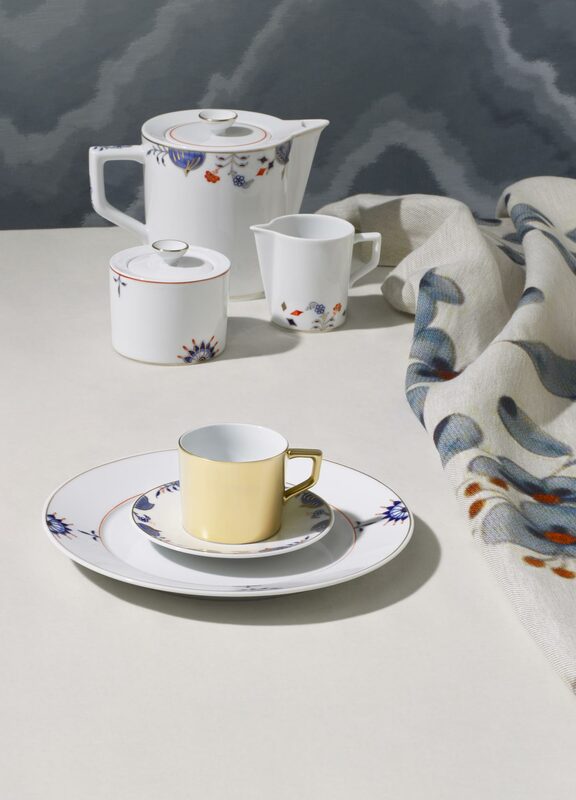 A standout in versatility, the plates and cups of the series can be combined in various ways.